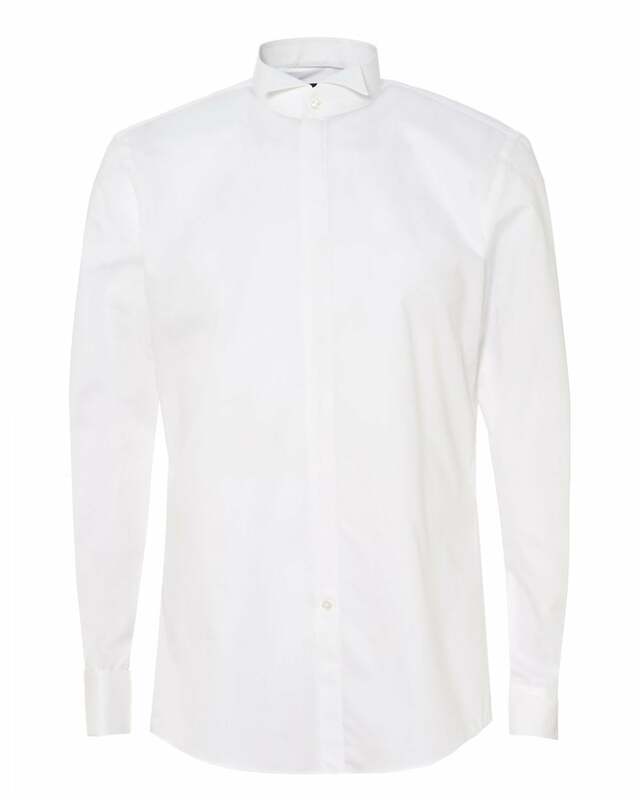 This white wing collared shirt by BOSS Business is a suitable option for your smart evening wear. Featuring double cuffs, buttoned fastening and a concealed placket. Complete with a tuxedo for modern tailoring.